Benefits of Bellingham's special tax district for transportation improvements. 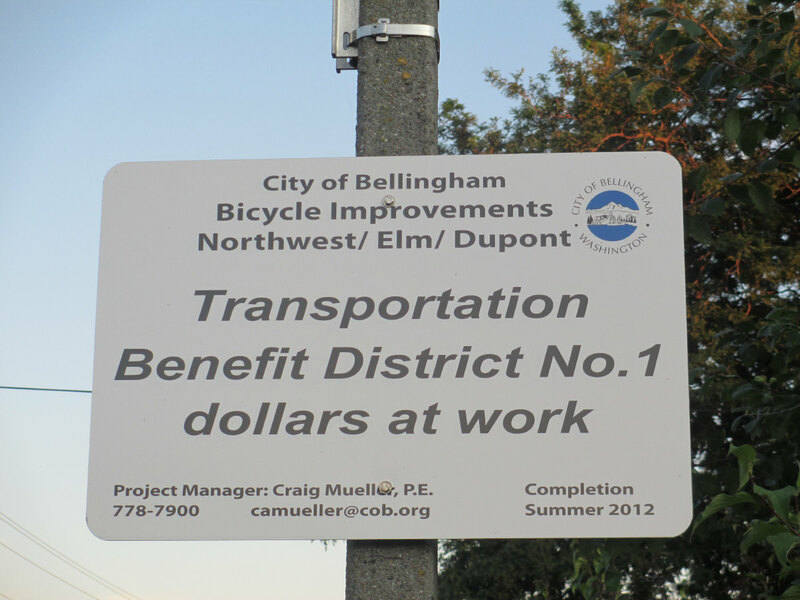 Transportation Benefit District Number 1. Some paving for all vehicles, a bit more bus service, like on Sunday and special emphasis on alternative transportation like pedestrian and bicycle. Slight increase in sales tax. Passed by voters in 2010 against the Tea Party tide during the election of 2010 within Bellingham city limits. Elm and Dupont are nice and smooth. Looks good.